A simple guide to making healthy swaps in your everyday diet that can help you lower the amount of sugar you eat. All natural and lower sugar containing foods are great, healthier choices to their traditional sugar filled alternatives. I am not a fan of artificial sweeteners at all and can honestly say I’ve never (and probably will never) use Splenda in my life. Honestly, give me the real thing or a natural alternative any day! I know for some people this isn’t an option, however. Whether someone is diabetic, trying to lose weight, or simply trying to reduce sugar intake, I know that artificial sweeteners are viable options. But before you go replacing all sugar in your diet with the fake stuff, hear me out. I think there are healthier ways to go about reducing sugar (added sugar) in your diet. So instead of swapping out sugar for Splenda (aspartame) as the Ad suggested, what if you could just make a few simple swaps in your everyday diet that would reduce the amount of added sugar you consume? I try to avoid added sugar (and sweeteners in general) whenever possible and I’ve found that it’s helped me in so many areas of my nutrition and wellness. It’s crazy how your taste buds change when you stop using artificial sugars and start eating natural ones. Your palate becomes much more sensitive to sweet tastes and can really appreciate the true flavor of fresh foods. Fruits and veggies are plenty sweet all on their own! And did you know that using artificial sweeteners, like Splenda, actually makes your CRAVE sugar more? Totally defeats the purpose! So instead of resorting to those chemical-filled alternatives, I’ve come up with a simple list of things that I use in my daily life to limit added sugars. Sugar from natural sources is healthy and necessary for our bodies to run optimally! So it’s not about eliminating it completely, but just making sure we’re getting it from the right sources. These are my kind of “Sweet Swaps”…. Go for brands like Polaner All Fruit Spread (only sweetened with fruit juice), Smucker’s Simply Fruit, or Kaufman’s Unsweetened Fruit Butters. They are plenty sweet without any added sweeteners or sugars! Flavored yogurts can have as much sugar in them as a candy bar. Talk about blood sugar spikes from something that’s supposed to be a healthy snack! It might be a little hard to transition at first, but soon you’ll grow to love the tangy flavor of plain yogurt. And since you’re starting with a blank slate, you have the option to add all sorts of fun ingredients and toppings. I actually discovered this ‘food hack’ for my dad! He was an avid non-dairy creamer user, but that stuff is pretty much powdered HEART ATTACK. It’s made from hydrogenated oils, full of trans-fats, with the second ingredient being high fructose corn syrup solids. To still get that creamy texture in your coffee, use non-fat dry milk powder! It blends into coffee the same way and is simply made from non-fat milk. Vegan? Try coconut milk powder! You all know my love of Apple Cider Vinegar and seltzer cocktails! The ACV enhances the taste of the seltzer and actually makes it taste like pop. I am a big fan of all the flavors offered by La Croix…all are zero calories and have no added sugars. This one may seem hard since ketchup is such a staple condiment, but I promise these alternatives are just as tasty. Tomato paste is such a great option for spreading on toast, tortillas, and even homemade pizzas. It’s got a rich tomato flavor and it’s thickness makes it perfect for spreading or dipping. Make sure you look for salsas with no added sugar and low-sodium. As for unsweetened ketchup, I like Primal Kitchen and Westbrae Naturals. 100% pure maple syrup is one thing…but traditional pancake syrup that you get in the store is something totally different. It’s often made with high fructose corn syrup and has no real health benefits aside from being a sugar bomb on your breakfast. Instead, simply microwave a serving of your favorite frozen fruit for about a minute or so and you’ll be left with a warm fruit topping made from only one ingredient and with no added sugar! Or opt for 100% pure maple syrup when available. This is for my athletes and runners out there. Forget those sugar laden energy chews, gels, and jelly beans. Instead opt for dates (even peanut butter stuffed ones! ), or your other favorite dried fruit, for a quick source of simple carbs and sugars! Fruit purees (yes the ones that come in the squeeze packs in the baby aisle) are also a great option for intra-workout nutrition. Same with the yogurt, going for flavored instant oatmeal packets means you’re getting a cool variety at the expense of a ton of sugar. Instead, go for whole grain old-fashioned or quick cook rolled oats! They’re higher in fiber and nutrients anyway and their plainness allows you to customize them in any way you choose. I’m a big fan of pumpkin oats. This is a money saver as well as a sugar reducer! Most bottled salad dressings have added sugar (even in the form of HFCS sometimes). Even if the salad dressing seems savory, chances are it has added sugar. So instead, make a simple vinaigrette from staple ingredients you have on hand at home. I like a mix of oil, dijon, white balsamic vinegar, and lots of herbs and spices. Alternatively you can mix humus and tomato sauce or salsa together for a creamy dressing! This swap is something I live by. I rarely use sugar or sweeteners in my baked goods (unless I’m going the more traditional route) and always opt for fruit to do the sweetening. Dates, bananas, apple sauce, and even freeze-dried fruit works awesome in nearly every sort of baked good. Sometimes you just have to adjust the level of liquid used, but overall, fruit adds great sweetness, little calories, and usually makes your food super moist! Do you use Splenda or other artificial sweeteners? What’s your favorite sweetener to bake with? What’s one healthy food swap you make in your day-to-day life? Interesting post…I like all forms of sugar. LOL. Natural or fake. I do prefer actual sugar, though, as opposed to the sweeteners – some kind of have a funky taste, but I don’t mind HFCS or anything. It’s my disordered brain that makes me fear any of the caloric sweeteners. I can tolerate Splenda OK, but the reduced-calorie sweeteners (sugar alcohols) – my GOD those give me bad side effects. UGH. What are your thoughts on the “natural” sweeteners like Stevia and all of its variations? Have you ever used the monk fruit stuff?? I tried some fruit cups that were packaged in syrup made with monk fruit and I thought they were disgusting. 🙁 Guess I’ll just have to overcome my fear of calories and eat the real stuff! 🙂 Hope you’re having a great day. BTW – saw that you go those banana bread bagels on Instagram. I thought they were pretty good, but their French Toast Bagels (limited edition earlier this year) were AMAZING. I love limited edition products. I really want them to make a gingerbread one for the holiday season! I actually wrote a whole post on my thoughts on stevia! http://healthyhelperblog.com/the-sweet-debate-over-stevia/ But overall, I am not a big fan of the taste or after taste of artificial and natural zero-calorie sweeteners. I’d rather have the real deal! Love these ideas! Just pinned the list so I can reference it the next time I need something sweet! I love adding my own fruit to plain yogurt because it’s much more fun to have something to chew on than just some sugar (or fake sugar) added in! I agree! I am all about adding texture rather than having a smooth, flavored yogurt. Smart, beautiful girl, I am rooting for you so hard, but you can’t be committed to recovery while still being enmeshed in this world of protein baked goods, reduced sugar, and plans to engage in intense exercise like marathon training. Please acknowledge this inconsistency if you insist on continuing to post content like this. You are not helping yourself or anyone else with a post like this — diabetics and people who have a medical reason to lose weight can find this information in countless other venues elsewhere on the web. Thanks for the insight Cat. I guess I just feel that even though I am working through my own struggles right now, I don’t have to abandon all my beliefs about health and nutrition. I still have this blog as a resource for people of all walks of life so I am not going to necessarily tailor all of my posts just because of my own problems. I am working everyday to better myself, but I am not my disorder and I refused to be defined by it. So I’m not going to let it creep into everything I write or feel. Also, I have no plans to start marathon training. I’m sorry if you got that impression or if I wasn’t clear. That is just a long term goal that I have. Right now I have much more important priorities to deal with. You can’t help others when you’re not helping yourself, and you’re not helping yourself by still posting about diet foods, supplements, and yes, you said your goal is to run the marathon next year. From experience, we’re just telling you that as long as you’re still enmeshed in this disordered “HLB” world, you aren’t doing yourself any favors. Health for you right now needs to be rest and ALL the foods–not eliminating certain things or jumping back onto the exercise bandwagon. Of course we don’t “know everything,” but it would be like an alcoholic posting about drink recipes. It just doesn’t make sense, but what do we know? I understand your perspective, Julia, and I appreciate it. I guess, like you said, this is not a recovery blog and it’s not intended to be. I still want to be able to post about things that I’m passionate about and that interest me without getting ridiculed every time. Nutrition and helping others live healthier is something I love and posts like this are intended for people looking to make some small changes to make their lifestyles healthier. It is in no way intended to be a model for recovery or for someone recovering from an eating disorder. I am trying to keep my personal life mostly separate from the blog. Unfortunately Kaila, I just cannot understand your reasoning behind all of this. I wish I could see this as being a positive outlet for you, but I cannot make the correlation between the two. I fail to see how condoning less sugar in someone’s diet while simultaneously trying to recover for yourself is anywhere near productive. I wish you the best Kaila. You have my number and I will respond to a text anytime you want to chat, but I am concerned with the continuation of the Healthy Helper. I won’t comment like this anymore though as I do not want to upset you any further. You have a lot on your plate and I do not want to offend you. I just cannot fathom this blog being beneficial to your recovery in the slightest. To me, it sounds like a way of holding onto your disorder in some way. But again, I am not in your head, so anything I say holds no weight. Personally, I could not maintain a blog like this and emotionally heal. I really really hope you are making positive changes Kaila. Don’t let this disorder take over your life. You deserve so much more. Anyway, I agree with Jen, I won’t comment anymore trying to have you change your ways. I am here if you need me though. Sending my love to you and I hope something here resonated with you. Girl, I totally get you. I was a nutrition major my first year of college because I was still so consumed by the eating issues and unhealthy thinking I had cultivated in the five years prior to college. I thought that nutrition and exercise and health were my passions and was totally blinded by my disordered thinking. But constantly learning and thinking about nutrition wasn’t helping me get over my challenges. It took therapy and lots of hard work and a commitment to pursue other things, in order to finally let that toxic stuff go. It also took an active decision to NOT engage in social media or blogging about this stuff anymore, because all it was doing was taking me right back down the rabbit hole. 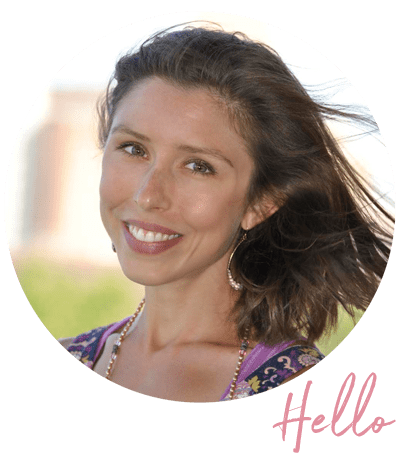 Kaila, I couldn’t believe how FREE I felt once I started letting go of this… it was an incredible, empowering process. I didn’t realize how chained I was to my disordered thoughts until I finally had that sense of freedom from them, and the perspective to see it all for what it really was — completely unhealthy, compulsive behavior related to food and exercise. Thank god I realized nutrition wasn’t actually a passion for me, even though like you, I truly thought it was. Nutrition and exercise as a “passion” was merely a way for me to continue my disordered ways. I worked hard to get away from that in time to switch my major to ecology and now I have a pretty darn healthy relationship with food and exercise and a career track I love (I’m 28). When I read blogs like yours, it absolutely breaks my heart because I see so much of a younger me. Forgive me for projecting my experiences onto you, but I suspect you would benefit from breaking away from the food/exercise/nutrition/health world, and finding out who else you are. I can tell by your blog that you are a hardworking and eloquent young woman. You have so much potential. Also, I appreciate how calmly and diplomatically you are responding to these comments. It shows a lot of grace. Thank you for your insight Cat. You and the other commenters have given me a lot to think about. I appreciate you sharing your own experience and for being so kind and encouraging. I think you could! It’s got a ton of flavor and I love the thickness! This is a great list of swaps! I tried to make a vinaigrette once but it gave me a headache so I don’t know what I did wrong LOL. Haha! I’m sure it was a just a one time fluke! You should totally try making it again…homemade dressing is SO flavorful. I hate artificial sweeteners! My kids have only had them a handful of times (thanks, grandparents!) and they hate the chemical aftertaste. I do use a little birch xylitol for homemade ketchup and lemonade. Melting all fruit boysenberry jam with a little water makes a boysenberry syrup with no refined sugar — my son prefers fruit syrup to maple syrup, but the prepared fruit syrups are always made with High Fructose Corn Syrup. This is a good list of alternatives; thanks! I have never had boysenberry jam! That sounds like a great option for topping though! I need to keep an eye out for it. Ahahaha that made me laugh out loud. That makes me sad too. And sucralose… anything with ose or ol at the end of it. Yuck. These are great swaps! Thanks for sharing them =) One of my favourite alternative sweeteners is pure maple syrup… so good! Pure maple is the best! The flavor of it is 10x better than the fake pancake syrup! Hi Sofee! If you read the beginning of the post, I mention that these swaps may not be suitable for everyone….specifically diabetics.